Pet Kiss Brighter Bite Dental Spray – Whitening (Vanilla Mint) – PetKiss Inc.
Did you know that by age three, 80% of dogs and cats show signs of oral disease which can lead to serious health problems? For pet lovers at home or on the go — now you can provide your dog or cat with daily oral hygiene care using Pet Kiss Brighter Bite Dental Spray — a convenient all-in-one natural spray for fresher breath and cleaner teeth. Simply spray into your pet’s mouth daily, covering teeth and gums, and relax! 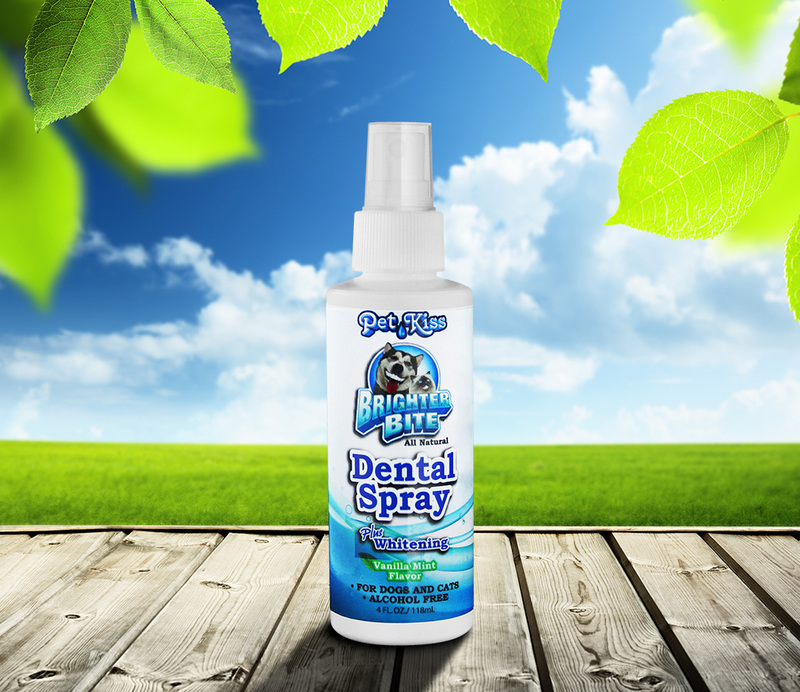 The spray dissolves instantly as all-natural ingredients work together to promote better oral health for your pet without any brushing required. The spray is made from a natural blend of zinc, chlorophyll, propolis, grapefruit and vanilla mint. 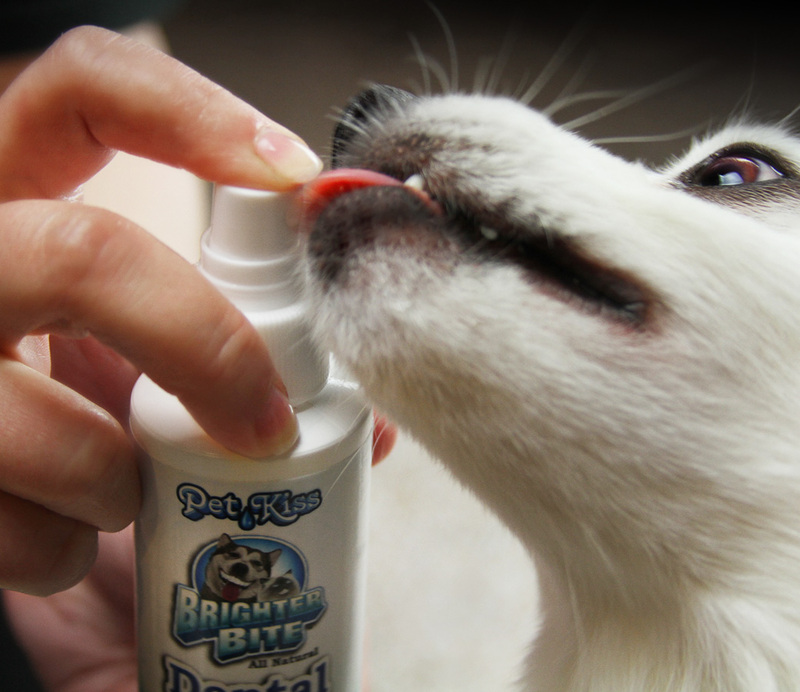 Try our Pet Kiss Brighter Bite Dental Spray and give your pet a healthier life — naturally! Pet Kiss Brighter Bite Dental Gel – Whitening (Vanilla Mint) Pet Kiss Original Water Additive – 8oz.